NOW ACCEPTING APPLICATIONS! Click for more details. 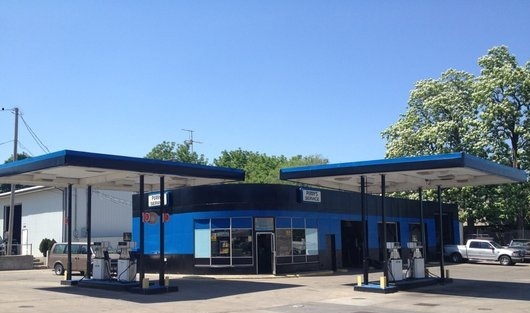 Perry's Service has been serving the Des Moines Metro Area for 50 years. Perry's currently operates a fleet of 13 light and medium duty tow trucks, flatbeds. 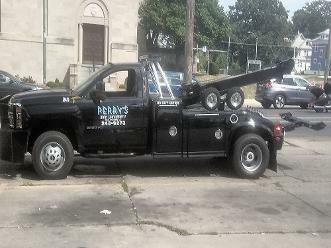 In addition to towing services, Perry's also offers automotive repair and service with two full time service technicians. We sell gasoline and diesel fuel. Fuel is available to all customers during shop hours. We accept VISA and MasterCard payments. Perry's Service is a registered member of the Towing and Recovery Professionals of Iowa (TRPI), Iowa Motor Truck Association (IMTA) and the Petrolium Marketers of Central Iowa (PMCI). We were selected as the 2015 City View "Best Towing Company" for the Des Moines Metro Area. *Due to staffing limitations we have a limited towing capacity after 6:00PM. If our evening staff already has numerous customers awaiting service you may not be able to reach us. We apologize for the inconvenience.